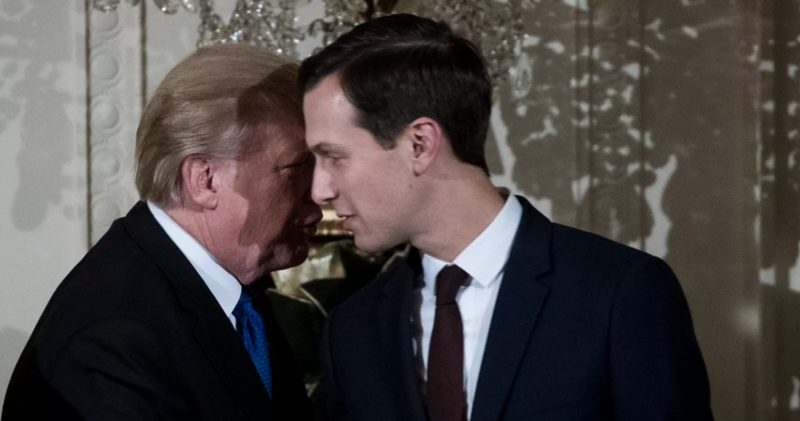 Though the idea is anathema to many Republicans (as well as conservative talking heads like Anne Coulter), Kushner believes it could be a workable option for winning support from Democrats for an immigration compromise bill being pushed by his father-in-law. Over the weekend, Trump said he would be open to a three-year extension of DACA protections as part of the compromise plan - something that Democratic leaders almost immediately rejected. Some Republican senators, including James Lankford of Oklahoma, have advocated for this idea, but White House aides worry that it could turn off President Trump's No. 1 supporter: Fox News host Sean Hannity. Yet, there are few other workable options on the table. Few believe Trump's current immigration plan has a prayer of gaining the 60 votes needed to pass the Senate when Mitch McConnell brings it up for a vote on Thursday. And even if it does somehow pass, it would be effectively DOA in the House. One Republican involved in the negotiating process told Axios that Kushner "wants to go big." But there's one problem: "Now isn't the time to go big." Another source said Kushner was merely canvassing lawmakers about ideas that they would support, and that he isn't committed to the green cards for DACA idea. He's trying to "find where the market is" on immigration reform. "You need to have some idea of where you're going...That doesn't mean in this current context you can go bigger...because it's not well defined what people want." But a third source derided the DACA green card idea as "insanity". And that's likely how many other White House advisors and Republican lawmakers would see it too.